The following post was written by Sarah Simpson, MPH-Epidemiology Candidate at the University of Medicine and Dentistry New Jersey. Sarah is an IH section member who has contributed to the blog previously. The following post is about her winter internship in Mumbai, India. Home to more than 18 million people, India’s most populous city, Mumbai, continues to be an attraction for millions looking for a better life for themselves and their families. Migrants from different parts of India, religions and cultures end up in the crowded slum communities around Mumbai. 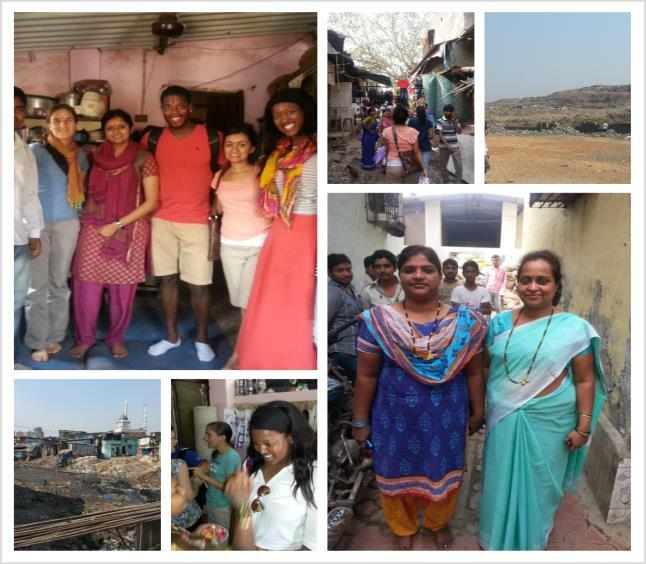 This past winter I had the opportunity to learn about urban health issues in these slum communities along with 20 other students from around the US and the world for three weeks at the Tata Institute of Social Sciences (TISS) in Mumbai. My project group and I sped around town in rickshaws, trudged through sludge, and dust to study urban health issues in the slum areas of Shivaji Nagar. Located in the M Ward and home to some of the largest slums in India, about 600,000 people live in this area, which is located near the Deonar dumping ground, a man-made mountain of debris and trash. 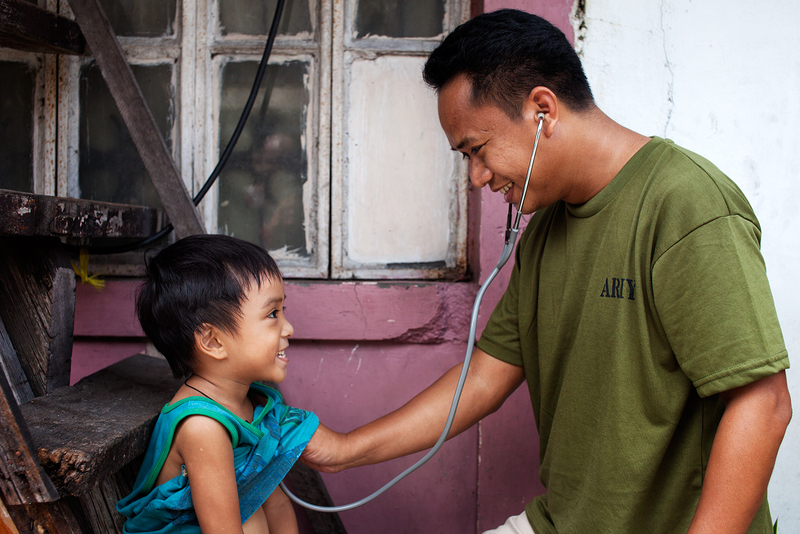 The health of the urban poor is complicated by many issues ranging from waterborne illnesses to infectious and communicable diseases, and when compounded by inadequate nutrition and overcrowded and poorly constructed living conditions makes for a dire situation for millions of people. During our first day, we were introduced to the “Mahila Mandals” or women’s groups there are instrumental to addressing these public health issues. Parts of Shivaji Nagar are plotted slum areas recognized by the government; however they have minimal access to facilities and services provided by the Brihanmumbai Municipal Corporation (BMC). Imagine sharing 28 bathroom stalls (14 for men, 14 for women) with 1,000 other people and as you can imagine they quickly become unsanitary. The breakdown of government services has lead to the organization of community based organizations such as Mahila Mandals. Instead of using a needs-based or problems-focused approach which would highlight only the worst aspects of a community, we decided to highlight the community’s assets by writing a case study using SWOT (Strengths, Weakness, Opportunities and Threats) Analysis to help us investigate how to best utilize these important community assets. We interviewed 6 Mahila Mandal groups consisting of some registered and unregistered groups and varying in size and number of members. We concluded that not only do the Mahila Mandals work to solve issues with sanitation, but they also promote immunization of children, maternal and child health education and resolve domestic violence issues. However, their impact is limited mostly due to funding and support from the local community. At the end of our study, we recommended that the government provide more funding and implement community-based participatory research programs which would allow the communities to identify, support, and mobilize existing resources to create a shared vision of change and encourage greater creativity in solving community issues. Two community organizations like these groups and community engagement are important for continued public health and social change. Further research is needed on how to best utilize these valuable community assets. P A Sharpe, M L Greaney, P R Lee, S W Royce. Assets-oriented community assessment. Public Health Rep. 2000 Mar-Jun; 115(2-3): 205–211.